This dog is a golden retriever/border collie cross. True sable colllie types are genetically quite different from golden retrievers. Several years ago, someone started a designer breed by crossing sable collies with golden retrievers. 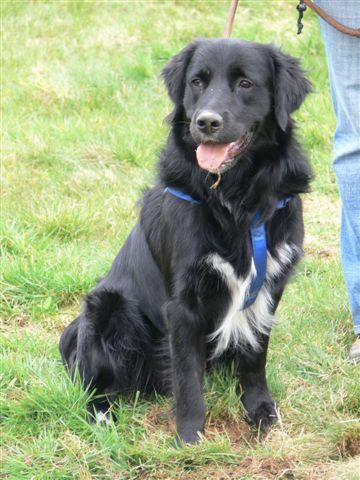 The results were mostly black dogs that looked something like border collies crossed with flat-coated retrievers. The breed folded because they did not understand the genetics of coat color. Everyone wanted a golden collie dog, not a black dog that had collie and golden parents. Goldens do not carry any sable genetics, so it is impossible for the recessive red to yellow to mask sable, as it apparently has with brindle. (These golden retriever/Malinois crosses suggest that some goldens have Kbr, which is masked by the e/e). Of course, most of this is a moot point when it comes to border collies. Most border collies are black and white dogs. 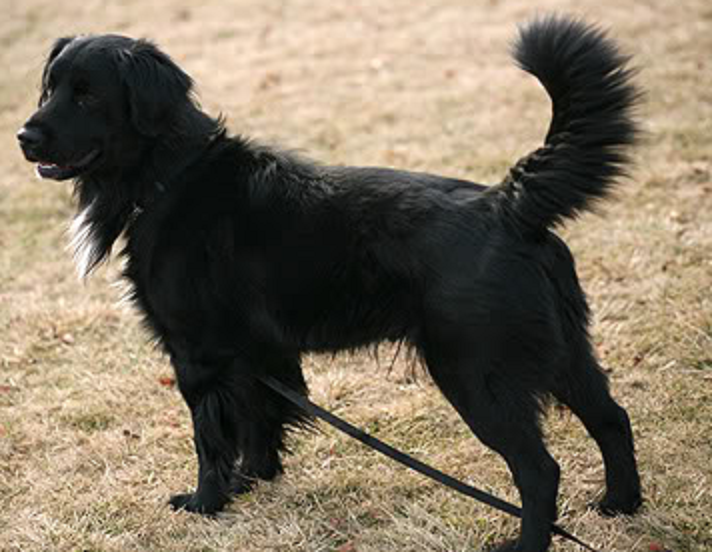 The black is dominant black, and when bred to a golden retriever, the black color is dominant to the yellow to red coloration (e/e). Solid coloration is dominant to various forms of spotting genetics, so the puppies are mostly solid black in color. However, if the dog is long-haired, it is very unlikely that it is an F1 cross with a Lab. 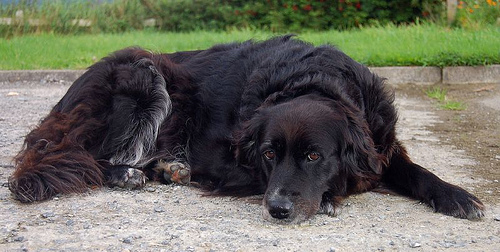 A tiny, tiny minority of Labradors carry the recessive long-haired gene– the result of crossbreeding with goldens and flat-coats (and maybe Newfoundlands and setters). Long-haired Labs exist but are very rare, much rarer than brindle Labradors or black and tan or chocolate and tan Labs. 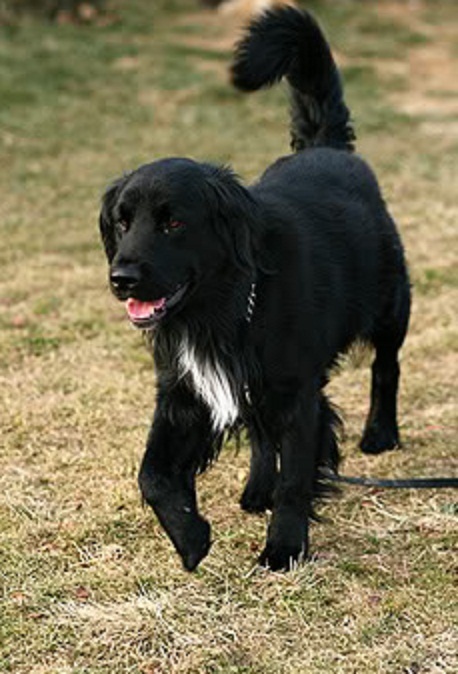 A Labrador retriever crossed with a long-haired border collie would most likely be smooth-haired. So if one finds a black dog dog that has retriever and border collie features, it is most likely a golden retriever/border collie cross, not a Lab and border collie cross.